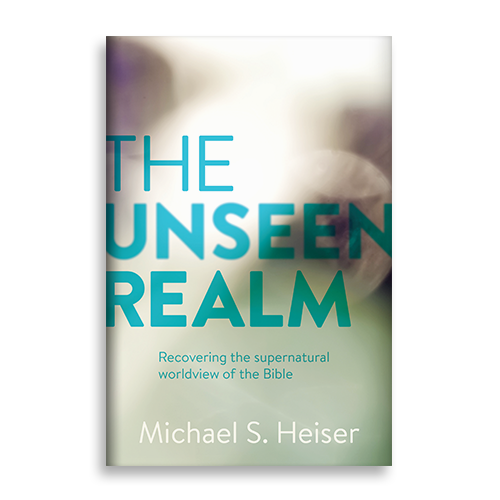 The Unseen Realm is one of the most talked-about books in biblical studies in recent memory. The book is academic in tone, but accessible and fascinating. The book challenges Christians to see the Bible as its original ancient writers and readers did, especially when it comes to believing in an active, supernatural world that intersects with our own lives. The Bible was written for us, but not to us. It’s a supernatural epic articulated by people whose worldview isn’t our own. The Unseen Realm connects readers to that worldview. By way of illustration, if you were sitting in a small group with the Bible and an Israelite from 1000 B.C. were there, or a Jew from the first century A.D., the era of Jesus, when it was their turn to tell everyone what they thought a given passage meant, their answer would be unlike that of anyone else in the room. The reason is simple. No one else shares their worldview. Christians have been taught that interpreting the Bible in context means thinking about what precedes and follows the verse they’re looking at. Or perhaps it’s about knowing how ancient people lived through artifacts discovered by archaeologists. It isn’t. There’s far to understanding how a person thinks than listening to words and knowing where they work and what they used to cook their meals. The only way to really understand a person’s communication, especially when all we have is writing, is to be inside their head, to know how they think and process life in their world. How can you possibly understand what someone has written if you don’t look at the world the way they do, and know what it is they believe and why? The only correct context for understanding what the biblical writers were thinking when they wrote Scripture is the ancient context in which they lived. That context is inextricably bound to worldview. The goal of The Unseen Realm is to get the biblical writers in your head, so that you can read your Bible through their eyes and understand what it was they believed about the unseen world and its inextricable links to the human story. Join the thousands of readers who will never be able to look at the Bible the same way again.